To provide free medical treatment to the senior citizens of the state, Himachal Pradesh government has announced a new scheme recently. According to the scheme namely Senior Citizen Health Insurance, senior citizens will get medical coverage from the government for meeting medical help. Under this scheme a specific amount will be provided to the senior people of the families annually. The scheme offers up to Rs. 30, 000/- top-up coverage to the senior citizens in the state. Along with this additional coverage normal Rs. 30, 000/- coverage in trust is also available under this scheme. The scheme will be implemented on floater basis. According to the guidelines of the scheme if a family has 2 seniors who are already enrolled under the Rashtriya Swasthya Bima Yojana will be able to receive coverage of Rs. 60, 000/- per year. There are also packages available in this scheme. Surgical packages are one of the many packages that are available that costs more than the proposed coverage. These packages can be received by the eligible beneficiaries if needed. Apart from the special surgery packages, there are also tertiary packages available under the scheme. These tertiary packages consist of special treatments. The central government of India has added these packages under this scheme. People who are enrolled under the Rashtriya Swasthya Bima Yojana or will be enrolled under this yojana will get the benefit of the scheme. Family of the senior people can also enrol under the RSBY but they will not get any benefit from the Senior Citizen Health Insurance Scheme. Already enrolled under RSBY, senior citizens must have Health Smart Cards. This card is useful in this scheme. As per the rules by using health smart cards of the people authority can verify the identity of the beneficiaries under this new scheme. For each senior citizen the unspent money will be added / credited to the beneficiary’s bank account after completion of the financial year. The beneficiary has to have a valid and proper bank account. All the hospitals that are listed under the scheme will need to install all the mandatory equipments, machinery and facilities for the senior citizens so that they don’t need to run from one hospital to another for any speciality treatment. There are some special treatment packages which will be available apart from RSBY facilities. Apart from Surgical packages and the top-up coverage, there is also a special package under which Rs. 1.75 Lac will be compensated. For the cancer patients the amount will be up to Rs. 2.25 Lac. Apart from the senior citizens other people in a same family can enrol to RSBY as well. However they will not get the benefit of the SCHI scheme. Beneficiaries will have to bear a minimum cost of Rs. 500/- as an add-on premium. This is an annual charge must be paid to enjoy the benefit of the scheme. This Rs. 500/- will be divided in two parts on 9:1 ratio. While 90% will be shared by central government, 10% will go to state government. Insurance companies and trust models in the state will be financing the project via bank pool accounts. 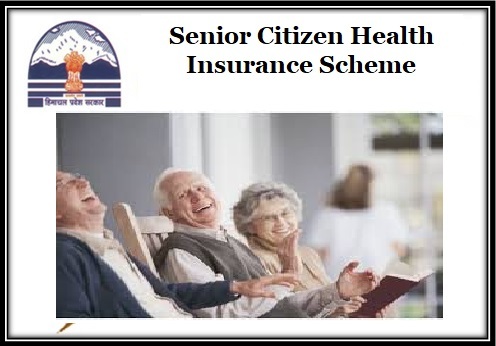 To avail the benefits of the scheme one has to be a senior citizen. The age of the beneficiary has to be more than 60 years. Anyone who is going to be 60 or near to that age will not be eligible. The applicant has to be enrolled with Rashtriya Swasthya Bima Yojana. Those who are above 60 years but yet not enrolled with RSBY can enrol before enjoying the benefit of the scheme. It is one of the mandatory rules of the scheme. The applicant or beneficiary has to carry a RSBY Health Card issued in the name of the beneficiary. If there are two beneficiaries in a single family, both of them have to carry health cards. This health card will be used in SCHI scheme for the verification purpose. There is no other eligibility criteria are mentioned in the scheme. Most of the criteria are similar to the RSBY scheme. Those who are already enjoying the RSBY will automatically get listed under this scheme. There is no such application process in this scheme. As mentioned the only thing that a person needs to do is issue a health card and enrol under the RSBY. If the enrolment is already done then no other application process is needed to avail the scheme. RSBY and SCHI schemes are similar sort of schemes. The difference is under RSBY anyone can enroll whereas under SCHI, only senior people can be considered. Both the schemes have introduced to make sure that everyone who has financial restriction must get medical help and treatment at the time of their need. There are a number of hospitals enlisted under RSBY. Beneficiaries can go for treatments in these hospitals as well.